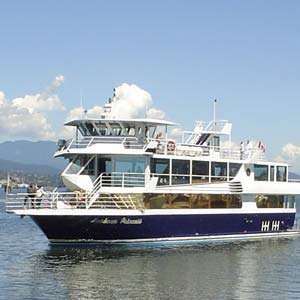 Join us on this exciting tour from British Columbia’s coast, taking an enchanting cruise through the Inside Passage, VIA Rail’s Jasper–Prince Rupert train, and ferry crossings to/from Vancouver Island. 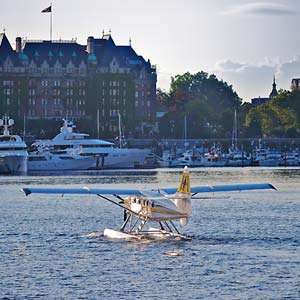 Begin your journey in Vancouver with city sightseeing before taking a ferry to Victoria, where you’ll enjoy two overnights and a city tour, plus time for optional activities, including a whale-watching cruise. Also visit world-famous Butchart Gardens with its 55 acres of showcase floral exhibits. Finally, cruise the Inside Passage to Prince Rupert, where you’ll board Canada’s VIA Rail train to Prince George. 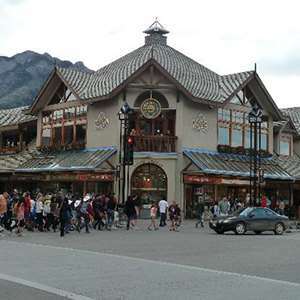 Leave British Columbia and cross the border into Alberta, where you’ll overnight in Jasper National Park and Banff National Park. 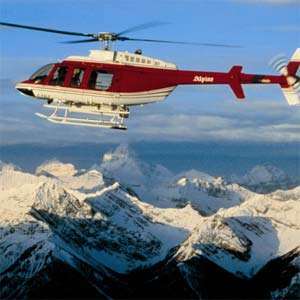 Other fabulous visits include a thrilling ride aboard an Ice Explorer on the Columbia Ice field, the largest expanse of ice in the Canadian Rockies, Mount Robson, Lake Louise, and Yoho National Park. 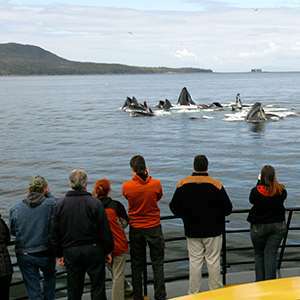 Cruising time through the Inside Passage is approximately 16 hours. Please come prepared with all medications, eyeglasses, and any other items you will need. On departures August 7, 31, and September 4, there are no included meals or dome-car access. However, meals are available for purchase. As we continue onward to JASPER NATIONAL PARK the peak elevations grow, culminating with Mount Robson, the highest of Canada’s Rockies at almost 13,000 feet. Overnight in Jasper. 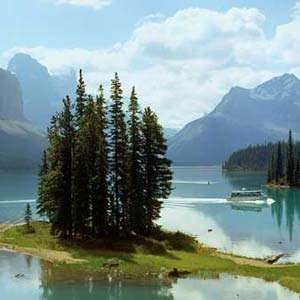 Today, join our optional excursion to Maligne Lake and Spirit Island, where you embark on a narrated cruise of the lake. The balance of the day is free to enjoy everything Jasper has to offer from guided hikes and quaint shops to meandering wildlife. Winding our way down the western fringe of Alberta, our journey takes us through some of the Canadian Rockies’ most breathtaking wilderness. Our first highlight on today’s agenda is a stop at the COLUMBIA ICEFIELD to experience the Ice Explorer, an all-terrain vehicle that travels on ice measuring 1,200 feet thick. Next, Lake Louise, its cold waters perfectly mirror the surrounding mountains and glaciers. Precipitous gorges, snowcapped mountain ranges, and lakes of exquisite blues and greens come into view as we continue the journey south to BANFF NATIONAL PARK. 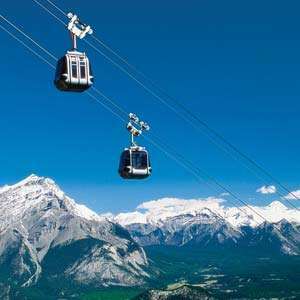 Banff is one of Canada’s favorite year-round resorts, with summer activities including hiking, boating, horseback riding, and fishing. 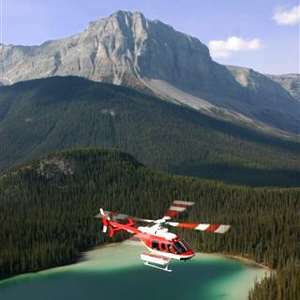 Cosmos has arranged for an optional helicopter ride high over the Canadian Rockies. The trip ends today with the final leg of your journey taking you to Calgary International Airport for those with homebound flights. Please schedule flights after 2 pm. In Vancouver and Victoria; Stanley Park, Butchart Gardens, orientation tour of Prince Rupert, guided visit to the North Pacific Historic Fishing Village, and Columbia Icefield (Ice Explorer ride). Inside visits as shown in UPPERCASE in the tour description, including admission charges where applicable. Strait of Georgia, Gulf Islands, coastline of Vancouver Island, Campbell River, Skeena River, Pacific Coast rainforest, Jasper National Park, Lake Louise. FlyOver Canada – Fast Lane Tickets Buckle up your seatbelt and prepare for the flight of your life! 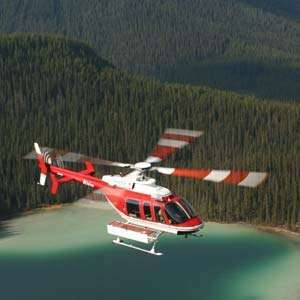 FlyOver Canada incorporates state-of-the-art technology to bring you some of Canada’s most thrilling sights like you have never seen them before. Groups of up to 60 guests at a time will hang suspended, feet dangling, immersed in a huge 20m spherical screen while our film takes you on a thrilling 8 minute journey from east to west across Canada. It will be a fully immersive experience including wind, mist and even scents! Zipline Adventure At Adrena Line Zipline Adventure Tours experience an exhilarating fully guided tour, which includes eight ziplines, two suspension bridges and a rugged ATV ride; with speeds of up to 60km/hr. 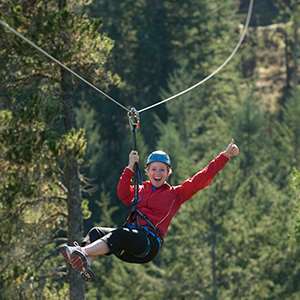 as you soar up to 150 feet off the ground on eight scenic ziplines ranging from 150 feet to an unforgettable 1000 feet. Professionally trained guides emphasize safety and comfort, ensuring a ride full of thrills, beautiful surroundings, and fond memories. 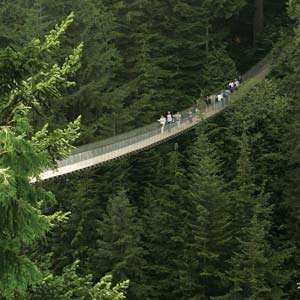 As you descend through the forest and over the beautiful Sooke Hills, your guides will provide you with interesting facts and stories about the local ecology and wildlife of the area. Our guided tour promises to be unforgettable, so step to the edge…and let yourself go! 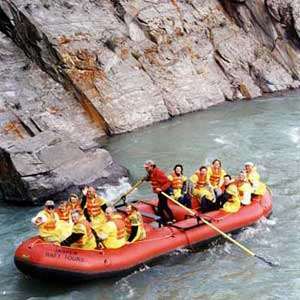 Grizzly Bear Tour Come aboard for a cruise to the famous Khutzeymateen “Valley of the Grizzly”. As we travel North through Chatham Sound you will be fascinated with stories about the historic native villages. Along the way, watch for porpoises, seals, sea lions, bald eagles, and blue herons as you learn first-hand about this diverse marine environment. 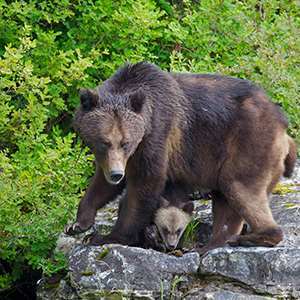 We will enter the rugged coastal mountains and pristine wilderness of the Khutzeymateen Valley, home to one of the highest concentration of grizzly bears in North America. 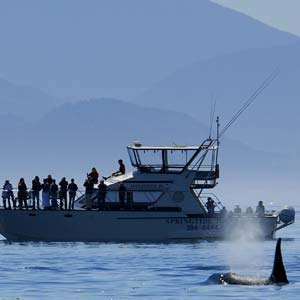 You will have a chance to see these legendary giants in their natural environment. Our goal is to provide you with a safe, pleasurable, and unique wilderness experience without intruding on the bear’s natural habitat. This is truly a photographer’s paradise and will be the highlight of your holiday. 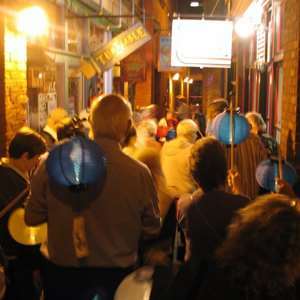 Country & Western Night Enjoy a BBQ dinner at Wild Bill’s Legendary Saloon then be entertained with live music by a local country & western band and take to the dance floor for a fun and casual line dancing lesson.